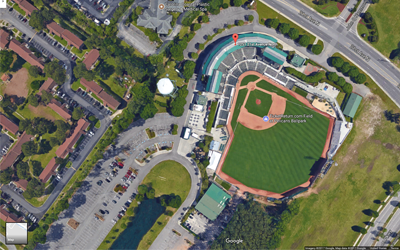 ​Ned Donkle Complex-(Pepper Geddings Recreational Complex) From your hotel, head north on Kings Highway (Hwy 17 Business) and turn left on 33rd Ave. North (west). Follow 33rd Ave. N. until it dead ends into a parking lot. 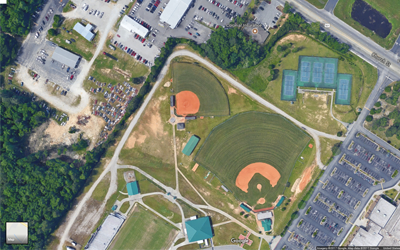 That is the parking for the facility and walk to the appropriate field. Drive time approx 40 min from Myrtle Beach Take Grissom Parkway to Highway 31 and exit off of 31 at Highway 22, towards Conway-West. Follow 22 until it merges with 501. Continue along 501 to 8th ave. (street light)-the town of Aynor. (Hardees). Turn left at light. Follow the road and the school will be about a quarter of a mile down on the left. Take Highway 501 N towards Conway, SC Go approximately 6-7 miles and turn Right on Gardner Lacy Road. It is right at the Domino’s Pizza. 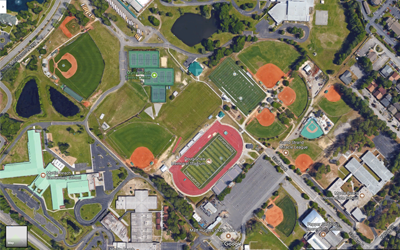 Follow Gardner Lacy road about 3/10 of a mile just across the railroad tracks make a right onto service road for athletic complex. Follow it about 1/8 of mile enter the complex through the gate on the left. 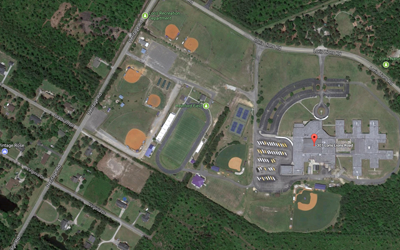 If you miss the right turn after the tracks the next right will be the front entrance to the school. Hwy 501 to 17 Bypass South, go past the airport to the back gate of the old Air Force Base. There's a stoplight there, turn left at the light. (Farrow Parkway)Follow Farrow Parkway to Meyers Ave., turn right, then head down to the complex on the left, you can't miss it. 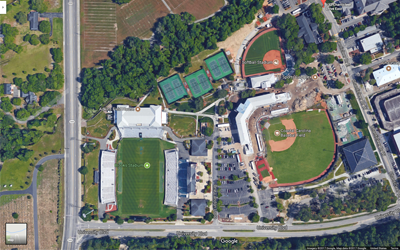 By turning right on Meyers you access diamonds 1-9 To access diamonds 10 & 11 go past Meyers and take the next right on Crabtree, fields are on the left. ​From your hotel, head south on Kings Hwy (Hwy 17 Business). You will pass Myrtle Beach International Airport on the right. 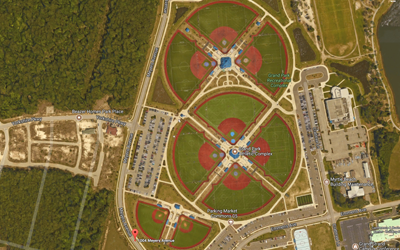 At the next major intersection (Farrow Parkway) (can’t miss it), take a right (west) into the former Myrtle Beach Air Force Base now Market Commons. Stay on this road through the business district you can see the facility to you left beyond the lake. Take a left on Crabtree to access fiamonds 10 & 11 or go to the next left, Meyers Ave. to access diamonds 1-9. Drive time approx. 50 min from Myrtle Beach Take Grissom Parkway to Highway 31 and exit off of 31 at Highway 22, take 22 to 701 exit, travel North towards Loris. Stay on 701 into the town of Loris. Take a right at Hardees (red light). You are now on #9, stay on 9 until Heritage Road. Go right. School on left. Take Hwy 17 South into Georgetown. Turn right when you come to the Georgetown Steel Plant. Go 2 blocks. You will see the field on Emanuel Street. 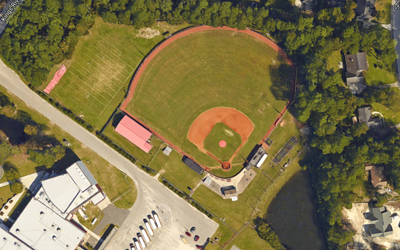 The field is located across from the Georgetown Steel Plant. 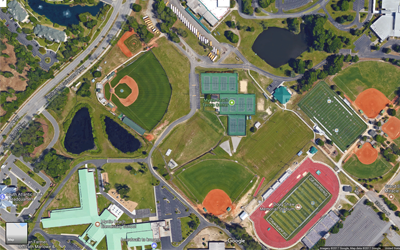 Myrtle Beach High School Follow Kings Highway (Hwy 17 Business) until you see 29th Ave. N. Take a left (west) on to 29th Ave. N. and then take a right at the intersection of Grissom Parkway and 29th Ave. N. You will now be on Grissom Parkway and approaching the high school. 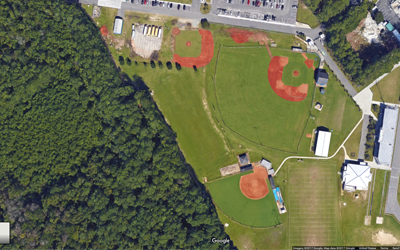 Take a right into the bus entrance and the field will be on the right. ​From Southbound Highway 17 bypass / North Myrtle Beach : SOUTH on Highway 17 bypass to 10th Avenue North Left on 10th Avenue North, 2nd stoplight will be Grissom Parkway. LEFT on Grissom Parkway, approximately 1/3 mile. Parking lot driveway will be on the LEFT. Note: 21st Avenue entrance is for suite holder parking passes only! All teams should enter from Bob Grissom Parkway. Look for a white easel on the far side of the parking lot by the home clubhouse. Located off U.S. 17, behind Litch&#64257;eld Exchange and BI-LO and bordering Brookgreen Gardens. 1. Take Grissom Parkway south crossing over 29th Ave. N., 21st, etc. until you dead-end into Harrelson Blvd.. (Coastal Grand Mall will be on your right). 2. Turn right at the light and go through the next 2 lights as well continuing over the bridge and onto Bypass 17s towards Surfside. Stay on the bypass for about 6-1/2 miles through 4 lights. 3. At the 5th light, turn right onto Holmestown Rd. and go to the end of the road. (there will be a light). 4. Turn left onto Hwy. 707 towards Murrells Inlet go 1.2 miles. 5. Turn right at next light on Salem Rd. (will see signs for high school). 6 Take first left off Salem Rd. 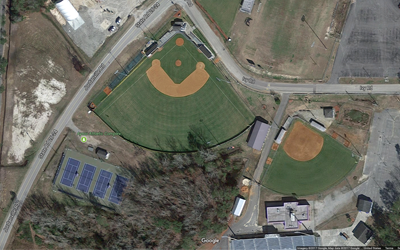 and field is on the right. Drive time approx. 35 min from Myrtle Beach Directions to Waccamaw High School : Take Highway 17 Bypass South for approximately 23 miles (from 29th Ave. n.). Turn right on Martin Luther King Road. 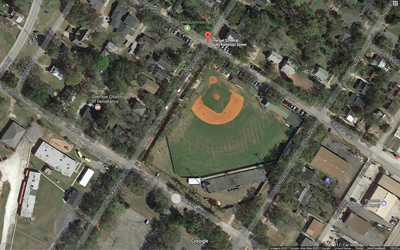 Travel on MLK Road for 1.5 miles and turn right on Waverly Road. Then turn left on Kings River Road. You should then see the School.